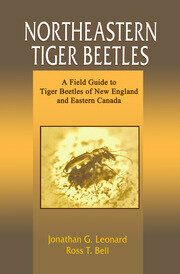 Experts offer the most sweeping reference available on the subject of North American beetles. Their rigorous standards for the presentation of data create a concise, useful format that is consistent throughout the book. This is the resource of choice for quick, accurate, and easily accessible information. 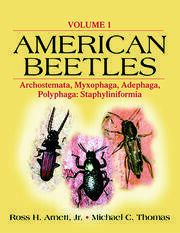 "…As the successor to the classic work on this subject, The Beetles of the United States: A Manual for Identification by R.H. Arnett, Jr. published nearly 40 years ago (1960), this excellent set is indispensable for graduate students, faculty, researchers, and professionals seriously interested in beetle identification and ecology." Fèlicitons, les auteurs, les collaborateurs, et finalement les èditeurs d'avoir rèalisè ce magnifique ouvrage. Ces deux volumes restent indispensables á qui veut Ètudier la faune colÈoptÈrologique de l'Amèrique du Nord et du Nord du Mexique, en un mot la faune nèarctique. Cette faune a des èlèments en commun avec l'Asie et surtout le Vieux monde, les connections ayant existè á diverses èpoques avec les continents voisins. La faune des Antilles, de l'Amèrique Centrale n'est pas loin non plus et ce livre peut servir de base á leur ètude. Une mise á jour de cette qualitè serait peut-être nècessaire dans notre pays, coordinant les Faunes de France, qui hèlas sont loin d'avoir fait le tour des Colèoptéres. 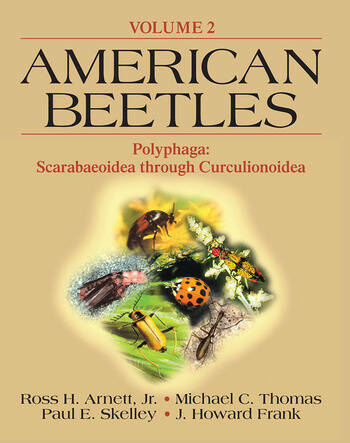 "… We have come a long way from the initial work of Ross Arnett " The Beetles of the United States " published in a single volume in 1962.... The quality of that publication and its illustrations was nothing compared to the present volumes. A beautiful production of CRC Press.... A very complete bibliography is at the end of each chapter.
" Congratulations to the authors, the collaborators, and, finally, to the editors for having put together this magnificent work. 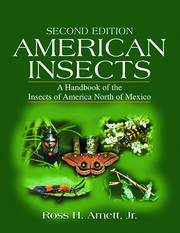 These two volumes will remain indispensable for those who want to study the Coleoptera fauna of North America that is north of Mexico, in a word the Nearctic fauna. This fauna has some elements in common with Asia and especially with the Old World, the connections having existed in various epochs with the neighboring continents. The fauna of the Antilles and of Central America is nearby and this book can act as basis for their study…"
"…these two volumes cover more North American species than any previous text."